Top model who is also the current face of Zara, Etro and Reed Krakoff, Stella Tennant was photographed in black and white image by Peter Lindbergh for the October cover of Le Monde magazine. 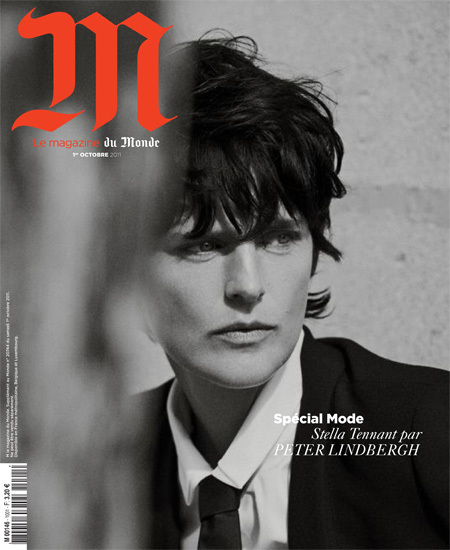 This entry was posted on Friday, October 14th, 2011 at 9:24 AM	and tagged with Le Monde Magazine, Peter Lindbergh, Stella Tennant and posted in Cover, Magazine, Models, Photographers. You can follow any responses to this entry through the RSS 2.0 feed.